Eastern US folks, we’re headed towards you in September and early October! 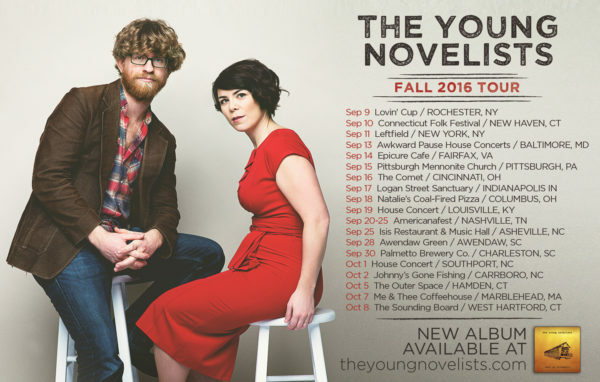 The tour begins in Rochester on Friday September 9th, and we make our way to Nashville for the 2016 Americana Music Festival & Conference and then head as far south as Charleston SC before making our way north again with our two last shows in Marblehead, MA and West Hartford, CT. Tell your friends, tell your enemies! We would love to see you! Full tour dates are HERE. Show tour details at: www.theyoungnovelists.com/shows/.